Goosebumps guaranteed! 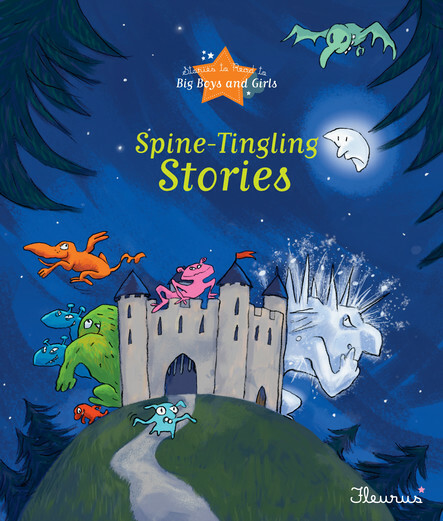 Eight spine-tingling stories especially written for big boys and girls. Texts full of mystery and suspense with lively illustrations to help your child discover the pleasure of reading on their own. Ideal for ages 6 to 9 Included in this volume: - The Hideous Ghost - Adi and the Great White Tiger - The Brave Lighthouse Keeper - A Cure for Hiccups - Oliver and the Ogress - A Scary Weekend - The Giant Iceman - Little Footsteps in the Night Each story is also available individually in digital format.